Sometimes the expenses that come with life can sneak up on you, see this list for the best items to pawn. Maybe you need money for a new business venture or an unexpected medical bill and can’t seem to find a bank or friend that can assist you with such an undertaking. But don’t despair, here at Precious Metals Refinery we can give you the cash you need for your valuable items, whether you plan to sell or pawn. As a result, jewelry of all kinds are the most highly desired pieces to be loaned or pawned. Because they appreciate over time and are made of precious metals, diamonds, and gemstones, they are always a safe bet for shop owners to purchase. But which types of jewelry should you start looking through your drawers for? Precious metals are a fantastic item to pawn in any form. 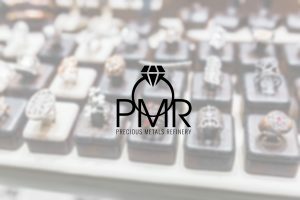 Gold, silver, and platinum are always in high demand and can snag you a hefty payout, especially if you decide to pawn or sell at Precious Metals Refinery. Like precious metals, diamonds are one item that seems to never go out of fashion or drop in desirability. Depending on the cut and style, there will be differences in price. Diamonds and diamond jewelry are great items to loan, pawn, or sell. From new name-brand wristwatches to antique pocket watches, a watch will likely bring in a big payday at a store like Precious Metals Refinery. Based on the style, age, and condition, you can walk into the store with a heavy watch and walk out with a heavy wallet. When it comes to loaning or selling jewelry, the price range for this kind of item is probably the most unpredictable in this list. Everything depends on the authenticity and quality of the materials. If you have a necklace, bracelet, ring, or any other type of jewelry that you believe is real and are looking to pawn, bring it down to Precious Metals Refinery. We can evaluate it for you to make sure we give you the best possible price. There are endless possibilities when looking for the best items to loan, sell or pawn. To get cash quickly when you need it, come to Precious Metals Refinery and be compensated with the most cash possible. Every day is a perfect day to show appreciation for those you love dearly when considering what jewelry to sell, think PMR.